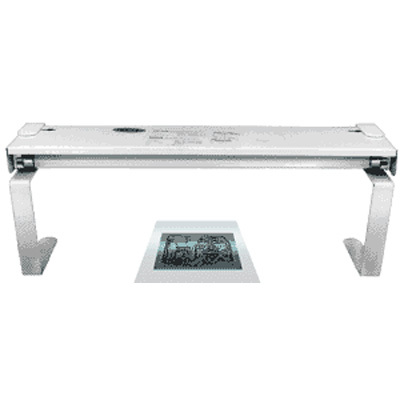 Have a look at Circuit Specialists' great deals on high-grade exposure units and etching tanks for your printed circuit board (PCB) fabrication projects. 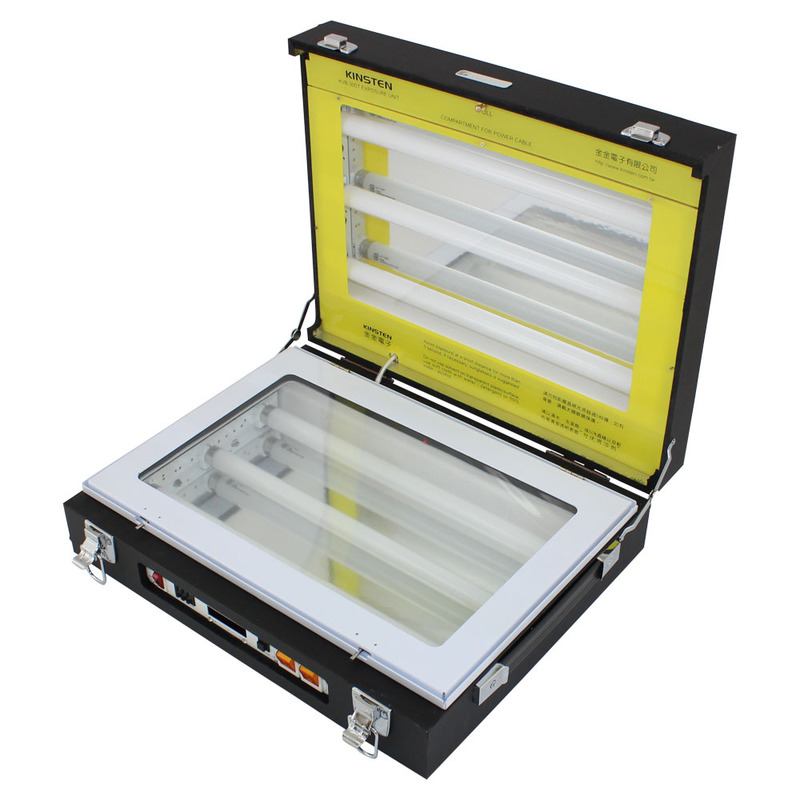 We carry deluxe UV exposure units with vacuum pumps that make for fast, even exposures of PCBs in seconds; the integrated vacuum pump "freezes" PCBs for perfect alignment with your artwork. 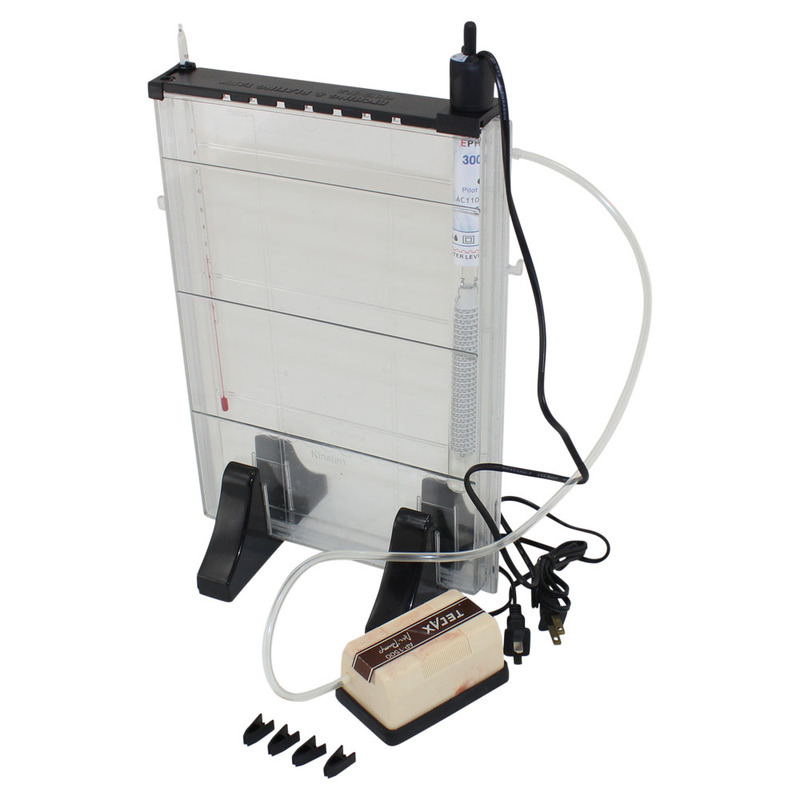 Our low-cost etching tank system with agitator and heater is an ideal, low-cost choice for etching up to two boards simultaneously.